In this section you will find the main associations, charity groups and event organizers that operate in Shanghai. ADIS Italian Women Association was created in June 2012 and primarily includes Italian women living in Shanghai and East China. It is a non-profit and non-political organization guided by a spirit of solidarity and friendship. It has been established to promote assistance and cooperation among its members and it is open to all women of different nationalities who speak Italian. We regularly meet for friendly, cultural, volunteering activities, as well as organize outings to explore the city and its culture, all with the purpose of making new friends and connections. With this spirit that has characterized our association, we are happy to be part of this Expat services project and welcome all the new people interested to join ADIS. JEF (Jeunes Entrepreneurs Francophones) is a non-profit organization of young active citizens age from 18 to 40 who are engaged and committed to create an impact and value in the community through different projects. They could be either Social, Cultural or Business/Networking oriented. The mission of this organization is to give to members the chance to dedicate themselves into entrepreneurial projects in order to create value for the community in Shanghai. Thanks to a strong cooperation with the French Institutions in Shanghai (such as Consulate in Shanghai, the French Chamber of Commerce, Business France and our sponsors), we manage our members’ projects’ leaders to ensure valuable Presentations, Workshops and Events for the community in Shanghai, and guarantee the value and mission of the organization. La Ruche is an association aiming to help French speaking women with their careers in Shanghai. There is also an entrepreneurship program divided into three categories: one for women who have already set up their business, one for those who are working on creating their business, and another one for those looking for ways to freelance as a consultant. You are french, living in Shanghai or simply passing by, and you happen to encounter hardships? Solidarité Shanghai is here to listen and accompany you through those difficult moments in confidentiality. Health, isolation, work, law, administration, family, scolarity: whatever the difficulty, our large network of partners allows us to direct you to professionals or more adapted environments and structures. APM is an independent charity, active in China since 1999 and registered in China since 2018. Our team of dedicated volunteers works to improve the lives of the poor and needy in China. Learn from the speaker & guests about Personal Development. Share your Life Experience tips and hacks. Join a Life Skills Advocates Community to connect with an inspiring network and contribute to each other’s growth. We are the community of Life Skills Advocates - promoting personal growth on daily basis! The association was founded in 1999 by Marcel Roux, a former vice-president of Doctors without Borders. The organisation has worked in Shaanxi, Gansu and Hubei since 1999, focusing on the most destitute rural areas. And today, the Children of Madaifu need hope. Their first steps in life are difficult: their parents are dead or gone and they come from poor families in deprived Chinese provinces. Your support can allow them to stay in their villages, with their relatives and to continue to go to school. 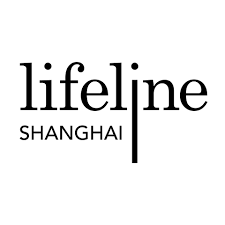 Founded in 2004, Lifeline Shanghai is affiliated with Lifeline International. We provide a space where people can talk to us in confidence and anonymously in their own way about anything that is bothering them. ​We are here to listen, support and refer. The Association of French-Chinese Families of Shanghai (AFFC Shanghai), a non-profit association of couples and families of mixed culture living in Shanghai and its region, was created at the end of 2009. More than 300 French-Chinese unions a year, counting only the district of Shanghai, live 24 hours a day at the rhythm of the "Paris of the East". They are very close to the local population and participate fully in the merging between Chinese and French cultures. The purpose of the Rotary Club of Shanghai Élysée is to unite French speaking professionals of all nationalities around the values ​​of Rotary and to promote local projects within the Chinese community. Do you want to become a confident public speaker in French and strong leader? If so, SET Toastmasters (Shanghai L'Espace-Temps Sino-francophone Bilingue Toastmasters) is the place for you. You’ll find a supportive learn-by-doing environment that allows you to achieve your goals at your own pace. You’ll receive supportive feedback and recognition from club members as you progress through the program in SET Toastmasters. We hold French and Chinese meeting twice a month. Our mission is to help francophones to grow up in public speaking. We are on Wuding Road 969, 501, Jingan District. If you are interested in us, come and join us. Stepping Stones is a not-for-profit organization registered in Shanghai, China. Stepping Stones was founded in 2006 in order to organize volunteers to teach English in Shanghai’s primary schools for migrants in response to requests from schools’ principals, which struggled to provide a reasonable standard of English teaching to their students. Stepping Stones is proud that classes taught by his volunteers been proven to increase students exam results, increase their confidence and interest in English, better prepare students for their key examinations, and expose youth to cross-cultural programming and the virtues of volunteerism. Over the years, Stepping Stones has expanded its field of activity. It now carries out a wide range of programs that focus on children’s education and health. Quebécois.Shanghai was founded in 2009 by some Quebecers living in Shanghai who were looking for a way to bring the community together for various events. The grouping is inclusive and apolitical. Its mission is to connect, inform and share. Quebécois.Shanghai's primary mission is to bring together Quebeckers living or passing through Shanghai. The group is also mandated to provide Quebeckers with useful information relevant to local realities. Finally, our association aims to share Quebec values ​​and the experiences of Quebeckers, among themselves, but also with the local community. Since its launching in October 2013 in Shanghai, the mission of Dej' Shanghai is simple: expand your professional network in a relaxed atmosphere. Le Dej’ Shanghai organizes on monthly basis business lunch, diner and tasting. After 5 years of activities more than 1000+ guests attended our events. 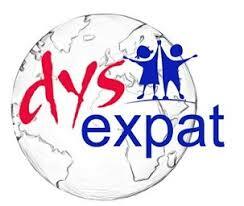 DysExpat is an association that organises an event every month with the aim to help families whose children have learning disabilities. Its mission is to inform parents about the documents needed from French Speaking schools for the implementation of personalized assistance for their children. To accompany parents by answering their questions about the different "dys" disorders. And finally, to organise meetings with parents and children to share their experiences, answer each other’s questions and help one another. We are a worldwide French association created in 1980, for French people abroad who identify with the values of solidarity, ecologism, feminism and progressivism. Besides allowing French people and francophones to maintain a link with France/Francophonie, we provide information concerning schooling, social protection and assistance while living abroad. Since 2007, the Expat Show Shanghai dedicates its full resources to create the best international lifestyle platform for all communities to find all information, products and services they need for their everyday life in Shanghai. The Expat Show Shanghai comes back for its 13th Edition on September 20-22, 2019 at the Shanghai Exhibition Center. More than 10,000 visitors and 150 exhibitors are expected! Green Initiatives is a social enterprise established in Shanghai in the year 2009. They promotes awareness, facilitates actions, implements projects and stimulates change toward sustainable models of growth & consumption. Their main activities include conducting awareness events focused on environmental & social problems, and implementing waste management & waste reduction solutions for corporate entities, educational institutes and the community at large. In recent years, the French startup ecosystem has enjoyed incredible momentum, driven by a new generation of entrepreneurs, investors, engineers, designers and many other talented individuals. France has been called a new “Startup Republic”, dotted with thriving hubs and talent that are vehicles for a robust entrepreneurial mindset. This domestic momentum has a name – “French Tech” – and French startups are rallying around this emblematic moniker showing that the ecosystem is developing rapidly. Shanghai International Culture Association (SICA) has for aim to strengthen mutual understanding and friendly cooperation between Shanghai and the rest of the world. It serves to enhance Shanghai’s economic growth, scientific progress, and cultural output through people to people engagement in international cultural exchange. Shanghai Overseas Exchange Association (SOEA) is a municipal-level non-governmental organization committed to relying on the advantages of overseas Chinese to establish extensive links with Chinese nationals residing overseas, overseas Chinese, HK and Macao compatriots, foreign friends, other overseas personnel and their organizations, developing friendly contacts and cooperation and promoting economic and cultural exchanges between China and overseas sources. In China, it can be a challenge for expatriates to find the information they are looking for, as it is usually very scattered. Therefore, one may miss opportunities to attend an event, to build their professional network, to try out a leisure activity or to simply meet new people. Expat Services is more than just a website: it aims to centralise relevant information and keep foreigners posted about what they should not miss in Shanghai, and soon in some other big cities of China. But on top of that, Expat Services is also committed to building bridges between the different communities of foreigners in the city, whether they are staying short term or long term, and help them make the most of their stay here. It is our vocation to connect foreigners to organisations and service providers that we have handpicked for their expertise and their professionalism, and we hope to become your best companion during your time in China.